Apparently this film only released in 1989, but it was made in 1971 and clearly looks it so that’s what I’m going with. It’s a pretty entertaining potboiler, but even if it weren’t there is one compelling reason to see it: a scene with uber-villain Tiwari in a bright pink and white lace negligee admitting that he gets his kicks from cross-dressing. Yes, really. And it has nothing to do with the plot, either. The story itself is in service to a criminal reform message which probably didn’t play as well in the late eighties as it might have in the early seventies. It is weak in places, but there is a plethora of lovely songs (by Ravi, with lyrics by Sahir) and an assortment of fine character actors with lashings of clever humor (no annoying CSP!). 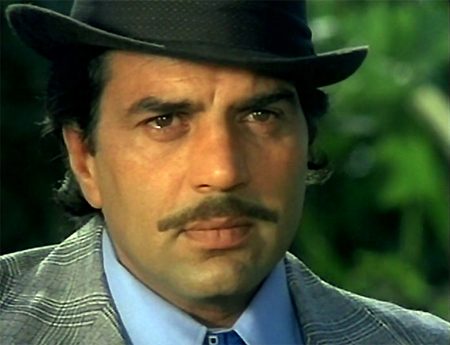 Leena Chandavarkar, a feisty heroine I always love, is paired with Sanjay Khan and backed by Pran and Rehman as lifelong foes on either side of the law. The Bhappi Sonie-Shammi Kapoor pairing gave us Janwar, Preetam, and this film. A fourth one is Jawan Mohabbat, which I sadly haven’t been able to find on DVD yet—but that gives me another reason to live. Bhappi Sonie seemed able to restrain Mr. Irrepressible more than some, and Shammi’s performance in this heartwarming tale of a penniless bachelor who has opened up his heart and his house to a bunch of (equally irrepressible) homeless orphans won him the Filmfare Award for Best Actor. 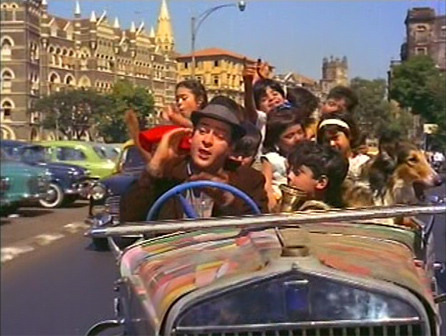 It also garnered five other Filmfare Awards: Best Film, Lyrics, Story, Music Director, and Playback Singer. Shankar Jaikishan wrote the fantastic songs, and the story neatly combines socially relevant subject matter with comedy, romance and just enough dishum-dishum.